Eric is one week old today! Yesterday the doctors made the decision to put Eric on the ventilator. 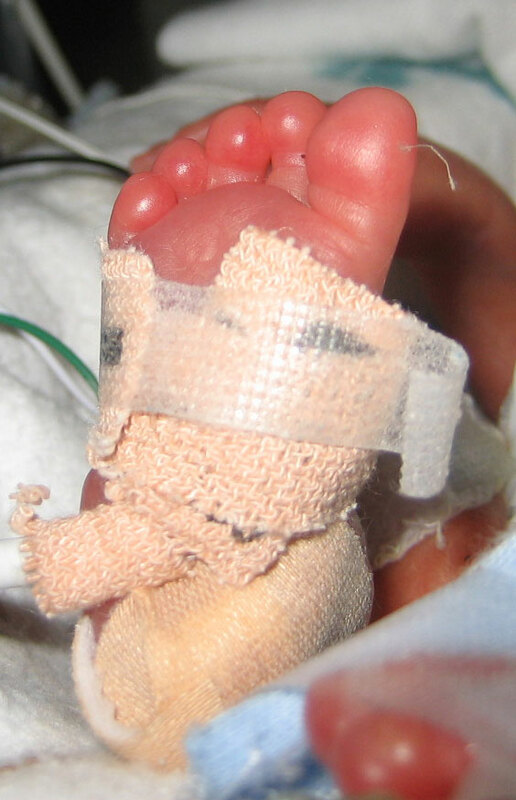 His lungs are strong but his body forgets to breathe now and then which is common with 26 week preemies. The vent adjusts to his breathing automatically and when he stops breathing it fills the lungs with air. Now he can focus on growing and getting stronger. When using the vent he can also sleep on his stomach which preemies LOVE. He is so adorable and he seems to recognize our voices.